Sudan – New banknote of 200 pounds. 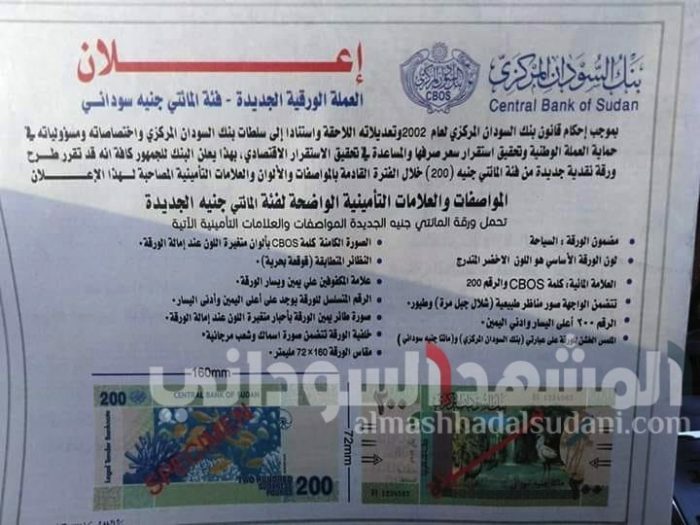 The Central Bank of Sudan has announced that it will soon issue a new banknote of 200 Sudanese pounds. Green will be its main color, and is devoted to tourism. It shows the Jebel Marra waterfalls and birds.